Whether you have just bought your first home, owned a home for a little while or been in the market forever, it can be a challenge to work out where to invest in your property. However, showing your home the much needed attention it deserves can add value in more ways than one. It can increase the total value of your property, change the lifestyle you have within your home or even give you a whole new lease on life. If you aren’t sure where to start, use these tips to help show your home some love. Safety really is one of those items on every buyers or home owners list that needs to be ticked. A potential buyer wants to know their investment is safe. A home security system is a great way to show your home some love, in an extremely practical way. Providers like stay safe security offer the perfect package to protect your home and add a little investment to the overall price. It isn’t usually the hot item that buyers mention first when considering a property, but you can rest assured knowing that security is high on anyone’s list. Showing your home love doesn’t always have to be a lavish addition or makeover. A simple but practical addition can really add value. It really is one of the oldest and yet most often overlooked, or avoided, ways to show your home some love. A new coat of paint can really transform a space into some completely new. Whether it is the exterior or interior of your home, a fresh coat of paint can do wonders. Consider a feature wall, a new colour for your kitchen or even think about painting the grout around any tiles. The latter of these ideas is simple, but can really change the entire look and feel of your space. Painting what is usually white grout black and you’ll be amazed at the difference, not to mention how much less cleaning is involved. Paint is a versatile and potentially transforming substance for any home. If you’ve ever walked into a home that has the style or décor of a 1970’s Swedish bathhouse like I have, you too will be a fan of removing curtains. While there are plenty of other things wrong with the aforementioned style, the curtains are probably the easiest to change. Instead of having those hang heavy and dust collecting fabrics covering your windows, consider blinds or shutters. Investing in high quality blinds or shutter can change the entire feel of your home. Allowing more natural light, when you want it, and keeping things neater are just two of the benefits. Blind and shutters can be made to measure, giving your home a more streamlined and clean style. Curtains usually provide two options, open or closed. With blinds or shutters you can have the best of both worlds, privacy with a side of natural light. A really simple way to show your home some love is to look around for any wasted spaces. Instead of looking at that empty corner, or that area of the backyard that just grows grass, consider a feature or accent piece to fill the void. It can be a unique piece of furniture or a raised garden bed. Don’t let any of that valuable space go to waste. Not only will your home look better, but you’ll feel a lot better for it as well. 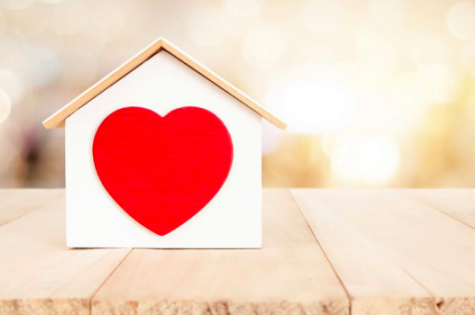 Showing your home some love doesn’t mean you need to refinance that mortgage or worse, rob the bank. Instead consider changing minor details in your home décor, utilise those wasted spaces or if you can think about the design of your home. Simple but effective changes can really change the way you, and other, view your home. My Home Curtain Cleaning Melbourne provide professional onsite curtain steam cleaning, blinds cleaning, curtain stain & removal and drapery cleaning services. Onsite hygienically clean and sanitise your curtain & blinds. Offsite curtain laundry dry cleaning services also available. Get guaranteed curtain and blind cleaning services at the lowest prices anywhere in Melbourne only at My Home Curtain Cleaning Melbourne. Few days back, our 3 year old was playing on the floor and we were having some quality time with our kid. Suddenly, my eyes dart to some cracks which had developed in the grout lining of the floor of our kid’s room. Also, I noticed that due to these cracks, it was unable to retain the moisture from going into the layers below. My wife immediately warned me, saying if we don’t tackle this situation now, the entire grout lining will detoriate. I had heard of the Sparkling cleaning Tile and Grout Cleaning Brisbane and their superb services. We decided to call them for help, and guess what they solved our issue within 2 days. All the cracks have disappeared and they have guaranteed us that the grout lining is secure for the next few years.